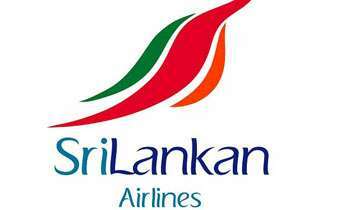 The SriLankan Airlines audit division had not looked into the loss of USD 12.5 million or Rs.1.72 billion incurred when re-delivering the 14 leased aircraft; it was revealed at the PCol on irregularities at SriLankan Airlines, SriLankan Catering and Mihin Lanka yesterday. Earlier it was revealed that SriLankan had incurred a loss of USD 12.5 million or Rs. 1.72 billion between 2006 and 2018 because of its failure to re-deliver 14 leased aircraft to the lessor before the deadline. SriLankan airlines, Senior Manager- Groups Assurances and Advisory Services Mahesh Nanayakkara informed the Commission that when the matter on re-delivering 14 aircraft came up, the SriLankan audit division had only looked into some functions of the re-delivery without looking into the whole matter. “We had only looked at the matter when there were significant transactions happening,” he said. When Senior State Counsel Fazly Razik questioned the witness about the process of the audit division he said that most of their audits are reviews and only the external auditors provide the financial explanation for transactions carried by the SriLankan. When Mr. Nanayakkara was questioned about USD 1.1 million loss incurred due to delay in submitting 15 rejected invoices to Lufthansa Technik AG, he said that the audit had only highlighted about the loss incurred to SriLankan. However, it was notified by Senior State Counsel Fazly Razik to the Commission that the auditors of SriLankan had failed to highlight the actual matter to the SriLankan airlines Senior Management. Earlier, SriLankan Airlines, Senior Manager, Revenue Accounting Upekha Abeysekara informed the Commission that the SriLankan have not been able to reclaim USD 1.1 million from the rejected 15 invoices because the engineering division has not taken up necessary steps within six months of the rejection. She informed the Commission that SriLankan had entered into component support with Lufthansa in 2012 and the transactions between the two companies are done through IATA Clearing House, a company which provides billing and settlement services in multiple currencies for the air transport industry. What a waste of this money. All were acting if nithing was happeing now all have become experts. We the staff know that nothing of the real issues will come up this is an excercise to blame someone. Also current management are selectivley leaking matters to hide their crooked actions. But at the end, it is the poor tax payer who ends up paying for it all.